Fetch App Review for Android! - Find All The Apps You'll Love! ~ AndroidRootz.com | Source for Android Rooting, ROMS, Tricks and More! 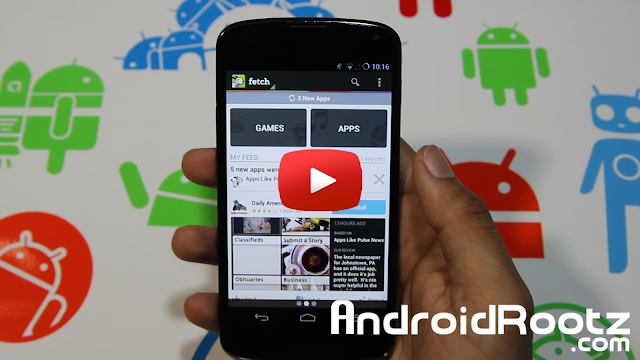 Fetch App Review for Android! - Find All The Apps You'll Love! Many times we struggle to find apps from the Play Store that are relative to us and fit our needs. 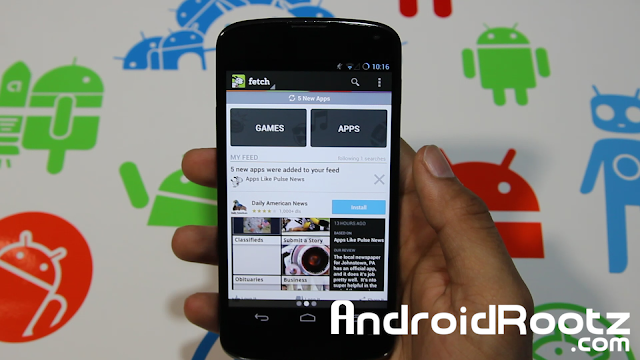 Using Fetch app for Android you can easily find apps that you are interested in and that you actually want. Using Fetch you type in an app that you like or want a similar app to and then it will find other apps at are VERY similar. You can also save it to your "followed" section so you can have that type of similar app later on. Fetch also has a featured page that is customized similar to your preference. On the main page there are featured apps that may interest you. This app is definately for anyone who wants to explore and try new apps that interest them! Download the app using the link below.